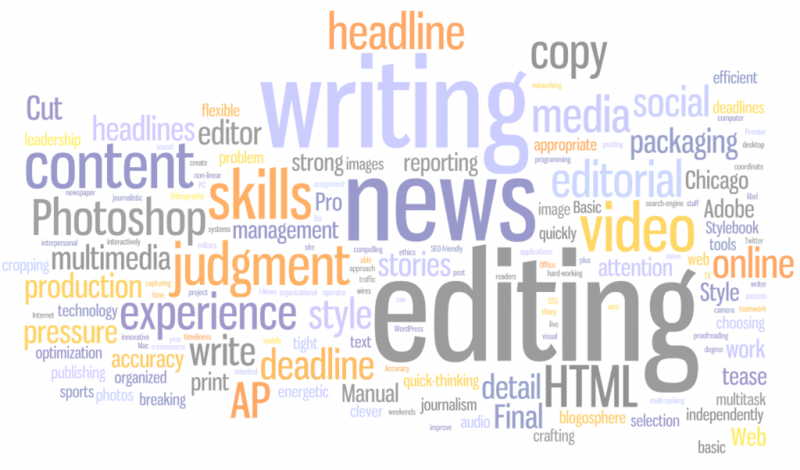 Having decided to land online editing jobs for beginners, you might have some difficulties with learning professional essentials that only veterans know. Many of those qualified editors are reluctant to share valuable insights with newbies that costed them a tremendous effort to obtain. Others, however, do not see things that way and readily share the knowledge they managed to acquire. Since we belong to the latter category, there are some tips that both a freelance science editor and a freelance content editor are likely to prove useful. One can hardly deny the importance of a theoretical foundation. Mostly, knowing theory can be compared with a map that gives you definite guidance, instead of getting lost every there and then. Since the sphere of freelance editing is no different, it might be useful for you to adopt a proactive attitude and get ready to learn something new. First and foremost, it is good to know the principal difference between proofreading and editing, and make a choice. While editing requires a person to keep an eye on flow, consistency, style, and accuracy, a proofreader’s focus is more narrow and is generally limited in terms of grammar, style, and typos. After deciding what you want to focus on, selecting a niche is of equal importance. Narrowing down the terms of professional activity helps you grow as an expert, build a client base, and even get a higher compensation. Depending on the type of editing (for style, readability, or grammar), there are such usable books as “The Elements of Style” by William Strunk Jr. and E.B. White, “Self-Editing For Fiction Writers: How To Edit Yourself Into Print” by Renni Browne and Dave King, and “Write Right! : A Desktop Digest of Punctuation, Grammar, and Style,” by Jan Venolia to name a few. If you are not fond of reading tons of books and prefer a more dynamic activity, there are hundreds of trainings at your disposal on the web. Passing the theoretical world with flying colors, it is high time to launch the process of using your skills! Hmmm… alright, but where to begin? What if they say that I am too inexperienced for them? Well, your willingness to work is what truly matters. Even though you don’t have a corresponding education, references, or credentials, your passionate work and desire to learn will make up for the titles. At jobsforeditos.com, you may not only find a reflection of this idea, but also be able to jump-start into telecommuting jobs: check out our current job openings.